Il Comitato per la promozione e protezione dei diritti umani è una rete di organizzazioni non governative italiane, creata nel 2002, per la creazione di una istituzione nazionale indipendente per i diritti umani. The Comitato per la Promozione e Protezione dei Diritti Umani, a network of Italian non governmental organizations working in the field of human rights promotion and protection. 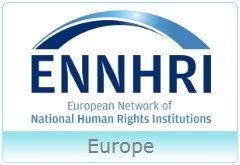 Was established in January 2002, through the initiative of Fondazione Basso–Sezione internazionale, by a group of non governmental organizations working in the field of human rights, with the support of a team of human rights experts. Ripreso l'iter legislativo per l'istituzione in Italia di una autorità indipendente in materia di promozione e protezione dei diritti umani:la nostra lettera alla Presidente della Commissione affari Costituzionali del Senato. Over the past ten days, many delegations have shared with me their alarm about the growing disarray in many countries. And among other issues, I have raised with many of them my concern about arrests, harassment and spurious prosecutions of journalists, activists, political opponents and human rights defenders. The immediate response of many delegations is to state that these women and men were affiliated with extremist groups, or were attempting to overthrow the State. But when a 13 year-old is arrested and tortured for participating in a demonstration; when journalists are jailed after publishing a video of malfeasance; when a t-shirt reading "CLEAN" is banned because it threatens national security - these surely were not threats in any real sense. What threatens the legitimacy of the State is the idea that government is a prize that can be captured, held by force and exploited for the benefit of a limited group. To erode the right of all members of society to participate fully in decision-making is to undermine the foundation on which every State stands: its service to its people. I am also disturbed by a widespread practise of what could be termed "human rights window-dressing". The ratification of treaties and agreements, and acceptance of recommendations stemming from UN human rights mechanisms, are not in themselves human rights achievements. There needs to be follow-up and real change to bring greater freedoms and dignity to the people. Unless consequential at the level of the rights of the individual, the work we do will remain bureaucratic - or even theatre. Human rights obligations should not be a "tick-the-box" exercise designed only to boost a country's international image. In discussing the activities of my Office in 2015, and our current concerns, I trust you will bear in mind the responsibility of States for standing by the binding laws and principles of human rights. We stand ready to assist, within the limits of our resources. In the first two months of this year, more than 400 people have died trying to reachEurope - due partly to the lack of viable avenues of entry. The majority of people attempting this voyage are women and children, some in situations of extreme vulnerability. I acknowledge the generosity with which Germany welcomed around a million people last year, and the efforts of Greece, throughout 2015, to take a humane approach, avoiding detention and pushbacks at sea. But today, in violation of the fundamental principles of solidarity, human dignity, and human rights, the race to repel these people is picking up momentum. The EU's draft arrangement with Turkey earlier this week raises a number of very serious concerns. We do not yet have full details of this draft, and I plan to discuss my concerns in full during my visit to Brussels early next week, before the two-day EU Summit which begins on 17 March. Among my concerns is the potential for collective and arbitrary expulsions, which are illegal. Border restrictions which do not permit determination of the circumstances of each individual violate international and European law. I must also reiterate my profound concern about restrictive measures such as erecting fences; denying people access to individualised procedures; and arbitrarily denying entry to people of specific nationalities. I am in addition concerned about measures to seize belongings from people who may have already suffered greatly, and to restrict them from bringing in family members. Furthermore, I am worried about the conditions to which people may be expelled.Turkey, Lebanon and Jordan shelter, between them, 4.2 million refugees from Syria - demonstrating a solidarity which, in the current context, is deeply welcome. However, many refugees and migrants in these countries face terrible challenges in meeting basic needs, including work, shelter, schooling and health-care. Unless these conditions change, returns may not be sustainable. Meanwhile, the situation in Greece is dramatic. Migrants are now unable to leave the country because of border restrictions imposed by Austria, Slovenia, Croatia, Serbia and The former Yugoslav Republic of Macedonia. This lamentable approach, together with other measures taken by countries such as the Czech Republic, Hungary, Slovakia and Poland, creates great distress for large numbers of people and compounds pressure on Greece, a country that is already in need of help. Greece has struggled for months to maintain humane conditions of reception for the desperate people who arrive by sea. I pay tribute to the honourable volunteers and activists who are trying to help them. I urge the EU to adopt a much more rights-compliant and humane set of measures on migration at next week's summit.International guarantees protecting human rights may not be side-stepped or diluted. Any returns of people must be in conformity with international human rights standards. Arbitrary and prolonged detention must be avoided. And I emphasise that under no conditions should there be a return to pushbacks at sea. I also reiterate my profound concern about the resurgence of racism, intolerance and xenophobia in Europe. All States should swiftly deploy measures to curb intolerance and xenophobia, such as those recommended by the Rabat Plan of Action. In particular, I must emphasise the need to prosecute all those suspected of crimes, including racist and anti-foreigner violence. I remain extremely concerned at the deterioration of the human rights situation in the southeast of Turkey. Escalating clashes have led to hundreds of deaths, and significant displacement. The utmost diligence must be exercised, so that ordinary people are no longer caught in the line of fire, including women, children, older persons or persons with disabilities. I fully recognize the challenges Turkey has been facing while countering terrorism, including in the context of spillover effects of the Syrian crisis. However, it is essential that human rights are respected at all times while undertaking security or counter-terrorism operations. Last weekend's action by the Turkish authorities against the daily Zaman newspaper is the latest in a series of very worrying developments regarding media freedoms and freedom of expression. I have taken note of the recent ruling by the Turkish Constitutional Court in the cases of two prominent journalists, and I welcome the release of a cameraman whose situation was recently raised by my Office, but I will continue to follow closely issues of freedom of expression and media freedoms. My Office is ready to support the Government, journalists and civil society in addressing concerns. In Belarus, we have observed only one change to the human rights situation: the release - which was welcome, but not unconditional - of political prisoners last year, on the eve of Presidential elections. I am concerned by a wide range of recommendations from UN human rights mechanisms that are pending implementation, including ensuring meaningful participation of civil society in any decision-making; guarantees of due process and fair trial; respect for the rights of human rights defenders; and a moratorium on the death penalty.It is our belief that scrutiny of the country's compliance with international human rights commitments should continue, to pave the way for real improvements in the human rights governance of the country. In Poland, recent legislation could have significant impact on the efficient functioning of the Constitutional Tribunal, on media freedom and on the right to privacy. I have reminded the Government that all legislative processes should be carried out in line with Poland's obligations under international human right law. My Office will be closely following the evaluation by the Council of Europe's Venice Commission, as well as the development of the so-called "rule of law" procedure introduced by the European Commission. In Ukraine, the UN Human Rights Monitoring Mission deployed by my Office in March 2014 is now entering its third year of operations. Our teams monitor possible gaps with respect to human rights and humanitarian law, particularly in areas of the east controlled by armed groups, and in Crimea. Through our public reports, OHCHR supports implementation of the recently adopted national human rights action plan - which reflects UN and Council of Europe standards - in close partnership with international, regional and national actors. I welcome the legislative amendments in Latvia and Estonia which enable the children of non-citizens to receive citizenship automatically. This will be a relief to many members of the Russian-speaking minority. I further encourage the respective Governments to continue their efforts to address the issue of statelessness or non-citizenship through a comprehensive follow-up to the recommendations from UN human rights mechanisms. In the Russian Federation, I am concerned about signals received from the government regarding its intention to close our presence in Moscow. At a time when adherence to international human rights norms is increasingly challenged, I believe more cooperation with my Office - rather than less - would be useful, for instance on the subject of the shrinking space for human rights defenders and non-governmental organizations. This engagement could assist in ensuring compliance with recommendations from the international human rights mechanisms, such as the UPR, which have been accepted by the Russian Federation - including recommendations regarding the reform of legislation and strengthening human rights institutions. In Uzbekistan, despite good work towards a national human rights action plan, my Office continues to receive reports of torture, ill-treatment, arbitrary detentions, the lack of freedom of expression, of association and of peaceful assembly, harassment of civil society, journalists and opposition. I hope the Government will further cooperate with UN human rights mechanisms, including the Council's Special Procedures. I am deeply concerned about the immense suffering of the people of Syria. The impact of the conflict on this and succeeding generations of Syrians will be immeasurable. As it has morphed to include more and more regional and global actors, the Syrian conflict has created a vortex of destabilisation and violations across the region. There can be no greater or more terrible demonstration of the importance of ensuring respect for human rights and the rule of law - at all times and in all places - to prevent such horrors. All parties to this conflict must respect their obligation to protect civilians and civilian objects. I also urge them to implement the cessation of hostilities agreement, which will allow humanitarian assistance to reach people in need and open the path to a political solution. Any peace process must be grounded in respect for human rights, which provide the only possible foundation for building a sustainable future for the country. These recommendations are also vitally relevant to the conflict in Yemen, which continues to take a terrible toll, with more than 3000 civilians killed, and 5700 wounded, since it began a year ago. If the violence and fragmentation continue, the people of Yemen face a very bleak future. The war has devastated an already weak infrastructure, with multiple attacks on hospitals and schools. It has opened vast opportunities for groups such as Al Qaeda and so-called ISIL to expand their grasp. Most tragically, the ongoing political unrest, violence and air strikes have created a massive humanitarian crisis. This could trigger refugee flows, further destabilising the region. In October 2015, this Council requested my Office to assist Yemen's national Commission of Inquiry to examine allegations of violations of international human rights law and international humanitarian law. Recognising my obligation to report in full to this Council's 33rd session, I take note of the preparations by the national Commission, and will comment further on this process in June. In Iraq, at least 16,000 civilians have been killed since June 2014. Some 29,000 have been wounded, and 3.3 million people have been forced to leave their homes. UNAMI and my staff have verified reports of serious violations and abuses of human rights by the so-called ISIL and other armed groups, in addition to violations by the Iraqi Security Forces and affiliated groups.Government policy to counter the armed conflict has focused mainly on military responses that fail to address many root causes - including widespread poverty, a stagnant economy, environmental degradation, and unequal access to basic services. In addition, sectors of the population feel excluded from political processes; and political deadlock, inadequate rule of law institutions, and the conflict in neighbouring Syria have all been exploited by terrorist and armed groups to further fuel this alienation, as well as to sharpen ethnic and religious divisions. Libya is today engulfed in violence and human rights violations. The recent report by my Office documents violations committed by all parties, with complete impunity. Judges and prosecutors have been attacked and killed, and courts have stopped functioning, or function on a limited basis as a result of bomb attacks. The resulting collapse of the national legal system fuels further abuses. I urge greater support for the restoration of rule of law, so that perpetrators can be held accountable. In Egypt, the newly adopted law on counter-terrorism raises serious human rights concerns, including very broad definitions of terrorism and related offences, restrictions to the right to fair trial, and freedom of expression. Torture and ill-treatment reportedly continue to be commonly practiced in interrogation centres and holding stations, with local NGOs reporting at least 30 cases of inmates allegedly tortured to death in 2015. I urge the Government to take much stronger action to prevent torture, and to set up impartial, transparent and effective investigations into all such allegations. I am also very troubled by the shrinking democratic space and increased crackdowns on civil society and human rights organizations. In Bahrain, despite progress made, political opponents, journalists and human rights defenders continue to be silenced by arrests, revocation of citizenship and deportation. Profound reform is still required, to achieve much more inclusive participation. Over the past five decades, people in Palestine have endured not only occupation, but also multiple, overlapping human rights violations. The recent escalation of violence in the West Bank, including East Jerusalem, and in parts of Israel, which has led to the deaths of dozens of Palestinians and many Israelis, should remind us that only justice can build a real and sustainable peace. The recent violent attacks on Israeli civilians are inexcusable. The root causes of this violence also cannot be ignored. The frustration and despair of Palestinians arises from the prolonged occupation; ongoing settlement expansion and settler violence; the blockade of Gaza; and failure to ensure accountability. With the young, indeed children, at the forefront of this escalation, alarm bells should be ringing for all of us. Decision-makers must understand that new generations of Palestinians are losing hope. I urge this Council to reaffirm its support for a just, fair and peaceful resolution to the Israeli-Palestinian conflict-one that involves an independent Palestinian state, and an Israel that is safe and secure in its borders. In South Sudan, the scale, intensity and severity of human rights abuses have continued, despite the August 2015 peace agreement. Violence has emerged in areas not previously affected by the conflict, and thousands of people are on the brink of starvation. Last month's armed attack on the UN Protection of Civilians compound in Malakal was yet another shocking event. The comprehensive assessment report compiled by my Office at the request of this Council will be published tomorrow. It highlights the importance of breaking the continuous cycles of impunity in the country, in order to put an end to the appalling violations suffered by its people. In Sudan, tens of thousands more civilians have been forced to flee their homes in Darfur after a new escalation of military operations by the Government. The country continues to face enormous challenges in securing basic and fundamental rights, in particular the rights to freedom of expression and opinion, freedom of the press, freedom of association and peaceful assembly, and freedom of religion. Prospects for accountability are poor. Severe poverty, which is particularly acute for women and children, undermines economic, social and cultural rights. I urge the Government to take action to comply with its responsibility to protect civilians from violence, and to hold accountable those who violate international humanitarian and human rights law. All forces must refrain from actions that could put the lives of civilians in danger. In Burundi, the Government has made some initial steps towards allowing the operation of a very limited number of independent media. I urge that they be followed by other measures to allow space for all media and NGOs to operate freely. I also count on the Government's cooperation with the team of independent experts mandated by this Council, throughout the duration of their mandate, and its endorsement of the deployment of the secretariat, which is due to arrive in April. I remain very concerned about reports of killings, enforced disappearances and illegal arrests in Burundi, as well as frequent use of torture. These undermine efforts towards reconciliation. An immediate end to these reported violations, and clear and public moves by the Government to hold to account perpetrators - including agents of the State and members of armed groups - would greatly assist in restoring public confidence. I strongly encourage the Government to embrace offers of assistance from the African Union and the United Nations, to support much-needed dialogue, and to steer the country back to a path of peace and development. Six months after my extensive report to this Council, and despite notable territorial losses, Boko Haram has retained its capacity to inflict immense suffering in the countries of theLake Chad Basin - notably through its hideous use of human bombs, mostly women and children who may not know they are carrying explosives. The durable resolution of this regional crisis requires all forces involved in counter-insurgency operations to coordinate closely and ensure that their actions comply with international human rights, humanitarian and refugee law. I am disturbed by the steady shrinking of democratic space in the Democratic Republic of Congo, including the growing number of arbitrary arrests and detention, and disruption of peaceful demonstrations. I call on the authorities to reverse these worrying trends by guaranteeing fundamental freedoms, and to hold to account perpetrators of human rights violations, without consideration of position or rank. The people of the Central African Republic deserve our congratulations for their recent, and predominantly peaceful, Presidential election. The Presidential election process late last year in Burkina Faso is also inspiring, sending a strong message across the world to leaders who seek to stay in power beyond legal term limits. In Colombia, there is now real hope of an end to the half-century of hostilities between the Government and the FARC-EP. The peace accords emphasise the rights of victims, and set important precedents worldwide, although we believe further discussions are required on penalties. After nearly two decades of sustained engagement with the Colombian authorities, civil society and people, my Office stands ready to assist the country in healing the wounds of the past, and to ensure peace, development and justice. Last May, following a request by the Government, I signed an agreement to establish a Country Office in Honduras. The murder last week of Berta Cáceres, who was a close partner of my Office, was an appalling reminder of the threats and killings that so frequently target environmental and human rights activists in the country. I am particularly concerned about actions by criminal gangs and their impact on the wider population. I am concerned about the situation in Venezuela, with deep political divisions, a deteriorating economic context and growing insecurity. My Office remains available to support tangible efforts to secure the promotion and protection of human rights in Venezuela, and I urge the Government and opposition to work together, on the basis of human rights norms, to ensure space for human rights defenders and NGOs, so that they can contribute to strengthening the national protection system. All public health responses to the emergence of the Zika virus across Latin America must fully integrate human rights, ensuring that health services are available, accessible without any discrimination, and of good quality. It should also be an occasion to take action on women's right to health and sexual and reproductive rights. The apparent link between Zika and incidence of microcephaly in newborns has led several Governments to recommend that women in affected zones refrain from pregnancy. However, in many countries, there are high rates of sexual violence, and access to sexual and reproductive health services is severely restricted - particularly to the poor. I remind Member States that all people have a right to comprehensive and affordablesexual and reproductive health services and information, including on prevention and modes of transmission. I further urge States to prepare for the need to provide proper support and care for children with Zika-related disabilities. The rights of the child should also be central to all action in this regard. More broadly, I urge all Member States, around the world, to re-examine their efforts to provide quality health-care for women. Maternal mortality is almost completely avoidable. Women die in childbirth because insufficient resources have been provided for their care - reflecting deep patterns of discrimination against women and girls. As our UNFPA colleagues have noted, in some countries girls are more likely to die in childbirth than to complete their secondary education. This is a stark reminder of the lethal inequality and discrimination that face many women and girls. In the context of their action plans for the 2030 Agenda, I urge Member States to make important efforts to improve respect for the human rights of women, toensure sexual and reproductive health rights, and to strengthen access to affordable and quality health-care, in accordance with the universal right to health. As Coordinator of the International Decade for People of African Descent I am particularly concerned about the pervasive racism that people of African descent often face, in countries across the globe, at the hands of police, judges and related officials. In Brazil, where we convened the first Regional Meeting on the International Decade last year, the Government has taken action towards addressing the social rights of people of African descent, particularly in the field of education. Nonetheless, I was briefed extensively on the insecurity that many Afro-Brazilian youths feel in the face of police violence and impunity. More than 2,000 people were reportedly killed by police in Brazil last year, and they were disproportionately of African descent. I am also concerned by issues related to police violence in the USA, where some 300 African Americans were reportedly killed by the police in 2015. More action is needed in all countries where such cases are alleged, including measures to hold perpetrators accountable, and to provide remedy for the victims. Over the past 14 years, the Guantanamo Bay Detention Centre has become, in the global public mind, a synonym for abuse and denial of due process guarantees. I trust that President Obama's new plan to close it will at last be implemented, and that the shocking practice of indefinite detention without charge or trial will be brought to an end. The serious human rights violations which were revealed over a year ago by the Senate Report cannot, under international law, remain unpunished. The Government should ensure that there is accountability for all those who were complicit or participated in torture, and should take steps to ensure remedy for the victims. I welcome the new openness in Canada regarding difficult human rights issues such as past killings of indigenous women and girls, and the thoughtful and warm way in which Canada appears to be welcoming migrants. I count on Canada's leading role on human rights and strong engagement with international and regional human rights mechanisms. There are important lessons in this respect for Sri Lanka, which is on its own journey towards accountability, reconciliation and durable peace. Important steps have been taken to reform the Constitution, revive independent institutions, and restore an environment for free expression and debate. Powerful symbolic gestures of reconciliation have been made, for instance singing the national anthem in Tamil - although other steps, such as the release of land held by the military, reviewing the cases of security detainees, and resolving the issue of disappearances, need to move forward faster. The next months will be important, as the Government embarks on national consultations for the design of a comprehensive transitional justice process to implement fullythis Council's resolution. It will be very important that this takes place in an environment free of surveillance and intimidation, so the voices of victims can be heard. Reports of violations must be promptly investigated and addressed.I look forward to reporting to you further on progress at the June session. In Thailand, a draft constitution has been published and will be the subject of public consultation before being presented for referendum in July. We hope this transition will proceed without further delays, and that Thailand will soon regain its place as a healthy and rights-respecting democracy. It is vital that debates take place in an atmosphere free of censorship and intimidation. I also encourage the Government to urgently enact the Anti-Torture and Disappearance Bill. In Malaysia, democratic space continues to be limited, with the Government applying "sedition" and other charges to an ever-widening circle of journalists, human rights defenders, political opponents and critical voices. The enactment of the Prevention of Terrorist Act and the National Security Council Act, without proper human rights safeguards, and without transparent and consultative process, is also a matter of concern. The imprisonment of a former opposition leader, Anwar Ibrahim - whose detention has been ruled arbitrary by the Working Group on Arbitrary Detention - is emblematic of a broader democratic malaise. In recent weeks, I have made known my concerns over China's arrests of lawyers and other activists. In the past I have also raised concerns about human rights in the Autonomous Regions of Tibet and Xinjiang, and these concerns remain. My mandate is to speak to such issues, and I believe there must be greater space for critical reflection and dialogue. Like many here, I have great hopes that the recent improvement of Iran's ties with the international community will also bring progress on human rights. While recalling that international law prohibits use of the death penalty for drug offenses, I acknowledge the initiative taken in the Iranian parliament to at least remove the mandatory death penalty for some drug offences. I trust that this is just an initial step. I also urge Iran to relax its repression of minority communities such as the Baha'is, many of whose leaders remain in prison. Last year I highlighted the unresolved suffering, and search for justice, of the women who survived sexual slavery by Japanese military forces during World War II. Since then, in December 2015, the Governments of Japan and the Republic of Korea have announced a bilateral agreement to address the issue. Its terms have been questioned by various UN human rights mechanisms, and most importantly by the survivors themselves. It is fundamentally important that the relevant authorities reach out to these courageous and dignified women; ultimately only they can judge whether they have received genuine redress. Poverty is an underlying cause of many violations of civil, political, economic, social and cultural rights, including the right to development. We have heard, during this session of the Council, a great deal about the right to development - justly so, because I believe that it resonates throughout the recently adopted 2030 Agenda. In the thirtieth anniversary year of the Declaration on the right to development, we are on the cusp of a new era of implementation. The 2030 Agenda is a promise to all the world's people. In it, States declare "We are resolved to free the human race from the tyranny of poverty and want, and to heal and secure our planet. We are determined to take the bold and transformative steps which are urgently needed to shift the world onto a sustainable and resilient path. As we embark on this collective journey, we pledge that no one will be left behind". This is a profoundly welcome commitment. As the Agenda advances, it will be vital for this Council, and my Office, tocontinue toinfluence action by both UN partners and States. We must ensure that all processes adhere to human rights standards on equality and non-discrimination, including the right to development, and that they ensure the full participation of women, minorities, indigenous peoples, Afro-descendants, youth and others who are frequently excluded. I am satisfied to report to you, in the context of the Secretary-General's Human Rights Up Front initiative, that all Resident Coordinators and Chairs of Regional UNDG Teams have received a new Guidance Note which underscores the critical importance of implementing human rights at country level, including in humanitarian activities and in follow-up to the 2030 Agenda. I am heartened to see so many States continue to engage actively and productively with the Universal Periodic Review. There is growing appreciation of the importance of implementing recommendations, and assessing their real impact on the ground. I count on Member States to ensure that the third cycle is one of implementation. My Office continues to assist States to set up strong national follow-up processes, including through the use of the UPR Trust Fund for Implementation and Technical Assistance. I commend the work of the Humanitarian Funds, which offer tangible redress and rehabilitation to victims subjected to of slavery or torture. Last year marked the beginning of the newly strengthened treaty body system. The treaty bodies met for a record combined total of 99 weeks in 2015, reviewing 173 States Parties reports and taking decisions on 183 individual communications. To assist States in meeting multiple reporting obligations, a significant capacity building programme to support States parties has been set up. I am glad to note that preparations are underway for the review of the human rights treaty body system in 2020 and I encourage all States to pay due attention to this review as it will determine the future of this fundamental pillar of the human rights system. The continuing haemorrhaging of allegations that peacekeepers, particularly in the Central African Republic, have committed sexual exploitation and abuse is profoundly disturbing. The recommendations of the CAR Panel report on military peacekeeping contingents, the appointment of Jane Holl Lute as the UN's Special Coordinator, and the Secretary-General's latest announcement on further measures that will be adopted - all point to the urgent need to stop this appalling abuse by UN and other personnel of victims, some of whom are very young. I would like to dwell on some basic points, however. The UN is not a sovereign body, and cannot exercise criminal jurisdiction. It has only administrative control over its personnel, and the evidence it collects in the course of administrative fact-finding is not normally admissible in national courts. Only the Member States can act to end impunity for criminal offences, including sexual abuse, that have been committed by their nationals who work for the UN. Only Member States can conduct criminal investigations, and prosecute. Member States also have responsibility for investigating and prosecuting UN civilian personnel in peacekeeping environments where the judicial system is unable to do so. For States whose laws do not allow them to prosecute their nationals for offences committed in other countries, the UN, ten years ago, proposed a draft convention. That draft convention is still there. You, the Member States, should now adopt it, together with the Secretary-General's most recent recommendations - the principal ones drawn from my own report ten years ago. In addition, every time the UN announces allegations before the press - together with the nationality of the military or civilian staff concerned - I would also like to see the Ambassadors of their countries assume their responsibilities and join the press conference. There are few examples of States standing up to meet their responsibilities in respect of sexual exploitation and abuse and other serious offenses, and States that do should be commended for their leadership. Likewise, at the field level, I would like to recall the recommendation I made ten years ago that the UN should issue letters of commendation for military officers who work with the UN to report and resolve these cases. But let me also make clear that we cannot deal with sexual exploitation and abuse in isolation. As has been previously reported, we have received credible allegations of other serious crimes by peacekeepers in CAR, including torture and possible executions. All those crimes deserve attention and equally vigorous responses as the sickening acts of sexual abuse that are better known. This Council has taken commendable initiatives to end discrimination against lesbian, gay, bi and transgender people, including expressing its grave concern regarding the violence and discrimination that they frequently suffer. All forms of discrimination fundamentally violate human rights principles, and I strongly urge you to continue this work. Recent positive developments regarding the death penalty include decisions to end the practise in five countries last year. However, I remain concerned about very excessive use of the death penalty in China, Iraq, Iran, Pakistan, Saudi Arabia, and the USA. Last year, I launched a change initiative, which aims to maximise the effectiveness of my Office by bringing us closer to the people we assist. My proposal for human rights hubs in every region came in response to Member States' long-standing recommendations that the Office should increase its focus on the field and develop a more balanced global presence. These hubs would permit us to more effectively engage with the broader UN to deliver on the promise of the 2030 Agenda; tailor our capacity-building for maximum relevance; and make us more accessible to Member States. I was surprised that the Fifth Committee held back from endorsing the minor changes that I proposed in our regular budget submission, in order to move toward setting up our regional presences. Nevertheless, I remain firmly committed to this effort to improve our efficiency, breadth and impact. I will be seeking your views, and eventual full support, as my Office prepares a revised proposal on the regional restructuring for the General Assembly's 71st session. Our proposal to establish regional hubs, each with equal support from the regular budget, was made without requesting additional resources. But the overall budget situation of my Office remains poor. Demands for our assistance continue to outpace our resources. When I took up my mandate, I was startled by the extent to which mandated activities are inadequately or wholly unfunded by the regular budget. Despite the success of the treaty body strengthening process,which improved the situation for one part of my Office's work, this overarching challenge has not yet been resolved. Thus we continue to rely on voluntary contributions to carry out many of our mandated activities. In past years, we have limited our extra-budgetary appeal to projected income. In this year's Annual Appeal, I put forth a needs-based budget that assesses what would actually be required in a single year - in addition to our regular budget allocation - in order to respond positively to the requests for assistance that we receive. That needs-based estimate is $217 million. But our expected extrabudgetary cost plan is$130 million. The gap between those two numbers represents people that we cannot help. Field offices that we cannot open. Facts that we cannot establish, and victims that we cannot assist or represent. Programmes which will not show law-enforcement personnel how they can interrogate people without using torture; and other programmes, which could have helped judges, prison wardens, development officials, legislators, policy makers and many others integrate international human rights law into their work. Children and youth that we cannot reach out to with human rights education, to help build respectful and inclusive societies. The cost of not doing that work is bitterly high. Failure to prevent human rights violations weighs unbearably on victims, and is profoundly destabilising for States. In this historic year of the 50th anniversary of the International Bill of Human Rights, we should be making far-sighted investments in human rights - which pay enormous, real, and sustainable dividends in well-being, dignity, freedom, development, security and peace. On behalf of all the people we work with and for, I extend our sincere thanks to our donors, without whom our capacity would be extremely limited. And as always, nothing would be possible without my staff - the 1,000-plus women and men world-wide who bear witness to injustice and resolve to right those wrongs. I look forward to working with them, and with all of you, in the year ahead. And I trust we can rely on your strongest support.